Create an instantly professional impression with presentation folders for your next important business meeting or presentation. 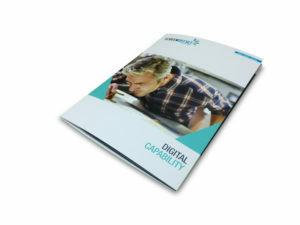 Presentation folders are a very high impact form of advertising as they are provided directly to marketing targets. The quality of your presentation folders will speak volumes about the quality of your business and its products or services. We have a large range of presentation folder styles that are easily selected from our different cutting templates. For extra quick turnaround we offer short run printing of our standard cutting form to suit A4 documents. Alternatively, if you would like a larger run and prefer one of our many in house cutting forms we can print your presentation folders on our offset printing press. Your first decision is whether you want glued folders or interlocking folders. Interlocking presentation folders are the simplest folders, suitable for smaller amounts of paper and, of course, featuring a spot to insert your business card. Our glued presentation folders are sturdier folders that can hold up to 15 sheets of paper. Rather than being slotted together like an interlocking folder, our glued folders are held in place with glued strips, creating a strong gusset that is perfect for larger inserts that need to be held securely. Once you have decided on glued or interlocking folders, your next step is to determine if you want single or double pockets. The final step is then to decide on what cutting template you would like. Our range of cutting templates are downloadable on our website for all long run printing orders and are easily viewed once you have decided between glued and interlocking folders and single or double pockets. 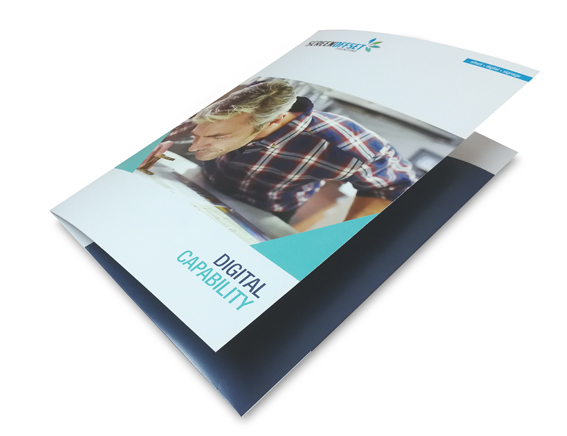 All of our presentation folders are printed on 350gsm artboard, can be printed single or double sided and supplied with or without celloglasing. Celloglasing is a process that applies a thin plastic film to the surface of your presentation folders, creating a highly professional finish. Celloglasing is available in gloss or matt, depending on your desired final product. 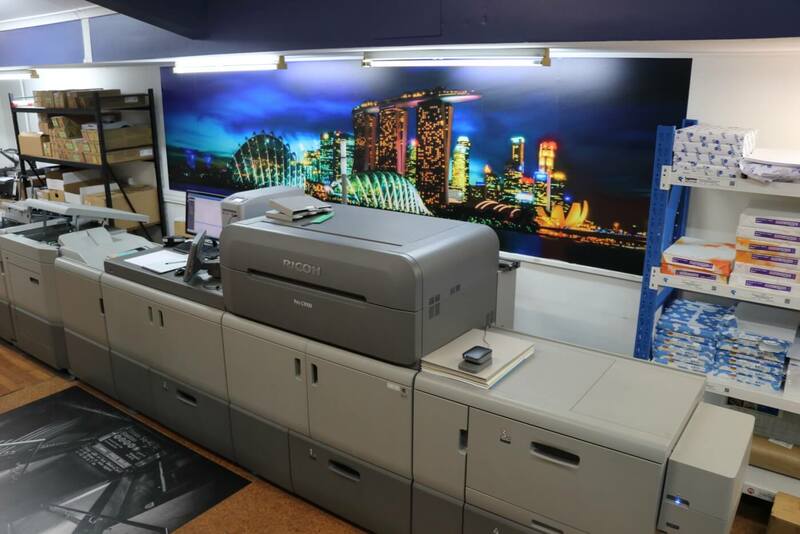 Once you have decided on your presentation folder type and style, book online and upload your artwork directly via our website, call Screen Offset Printing today on (07) 3265 1900 or drop into the office at 202 Robinson Road, Geebung Brisbane to discuss your needs.